This picturesque little country church is surprisingly active in mission work both local and global. Its congregation formed in 1887 and established a proud tradition of helping neighbors near and far. The Social Ministries committee sponsors many church events and distributes food it collects to local pantries and other charities. 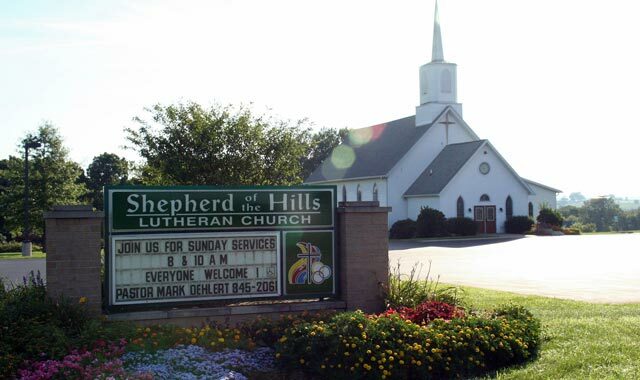 It recently established Shepherd’s Table, an outreach ministry in which food and fellowship are offered to local residents each Wednesday at midday. A lovingly tended church community garden provides fresh food for the meal, for pantries and church members. As an Evangelical Lutheran Church of America (ELCA) member, the congregation sends money to the Northern Illinois Synod, which partners with regional groups like Augustana College; Diakonia; Lutheran Outdoor Ministries, Oregon, Ill.; Lutheran Social Services of Illinois; Lutheran Campus Ministries; Lutheran School of Theology, Chicago; Wartburg Seminary, Dubuque, Iowa; and Women of the NI Synod. This church helps its neighbors around the world through Lutheran World Relief and ELCA Global Missions, World Hunger and Disaster Relief projects. Members annually send quilts, school kits, personal health care kits and new bars of soap overseas. When a hurricane, flood or famine strikes, special collections are taken for ELCA Disaster Relief. The church has helped to fund microloans for women, several water wells, family farms, oxen and ploughs, and numerous animals. ELCA Global Mission works alongside more than 80 companion churches in other countries. The church is led by The Rev. Mark Oehlert. Worship services are at 8 and 10 a.m. Sundays with fellowship and hospitality between services. Sunday School is from 9 to 9:45 a.m. during the school year. The church offers both traditional liturgical and contemporary style services. A wave of Eastern European immigration in the late 1890s brought many men to Ellis Island, in New York Harbor, where representatives of factories like Fairbanks-Morse in Beloit, Wis., waited on docks to recruit them. This is how many Jewish men came to build lives in Beloit, often sending for their families after saving up money. By 1907, 13 of them founded Congregation B’nai Abraham. By 1918, the congregation purchased a former Lutheran church building on Oak Street. In 1986, it constructed a new synagogue at the present location on Oxford Lane. Today the temple serves Jewish families from Rock, Green and Walworth counties in Wisconsin. 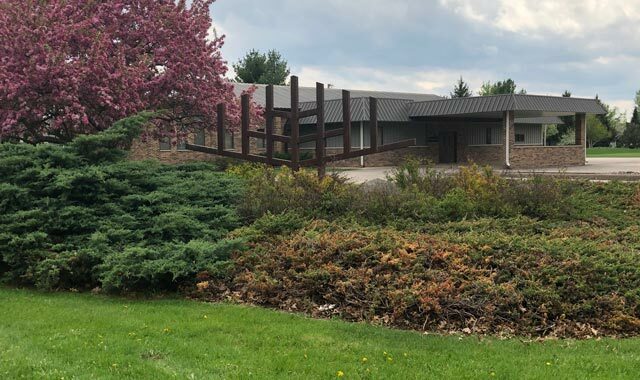 It offers “progressive Judaism in a small town community” and welcomes traditional and nontraditional families, singles and interfaith couples from Beloit and its surrounding area. The synagogue is home to the Molly Putterman Religious School, dedicated to the Reform Movement’s goal of Jewish education: to strengthen faith, love of Torah and identification with the Jewish people through involvement in the synagogue and participation in Jewish life. It serves children age preschool through Bar/Bat Mitzvah and beyond. Since 2008, Rabbi Shlomo Wing has served the congregation. A Texas native, he studied in Jerusalem for one year before completing his training and being ordained in 2003 by the Cincinnati Hebrew Union College – Jewish Institute of Religion. When writing his thesis, Wing worked with Dr. Nili Fox, professor of Bible and Archaeology, on a curriculum for teaching Biblical Archaeology in the religious school setting. Little did he know then that he would someday work in a city known for its lively archaeology activity at Beloit College. Rabbi Wing emphasizes worship, study and community at Temple B’nai Abraham. He is married to Rabbi Binah Wing, who serves Temple Beth-El in Rockford, and the couple has two daughters. Find the Shabbat and event schedule online. This entry was posted on Monday, June 11th, 2018 at 11:58 am	and is filed under Mind & Spirit. You can follow any responses to this entry through the RSS 2.0 feed. Both comments and pings are currently closed.